Tenants spent £1.9bn less in rent in 2018 compared with a year earlier, marking the first annual decline in more than 10 years, new figures show. According to data from Hamptons International, part of Countrywide, tenants in Great Britain paid £59.1bn in rent last year, £1.9bn less than in 2017, fuelled by a drop in the number of households renting and rental growth stagnating. But over the last 10 years the total rent bill has increased by £29.9bn in Great Britain. During this period the number of households privately renting has grown by 1.7 million, or 52%, while rents have increased by 12.4%. Nine out of 11 regions in Great Britain saw a drop in their total rent bill over the last year; the East Midlands (£130m) and the North East (£60m) were the only regions to see an increase. London saw the biggest drop off in the total amount of rent paid by tenants, with renters in the capital paying £20.6bn in rent in 2018, £620m less than in 2017. Looking longer term, the rental bill increased in every region over the past 10 years, led by growth in London where the total rental bill grew by £10.53bn over the 10-year period. After London, tenants in the South East (£14.19bn) and the East (£3.05bn) saw their rental bills rise the most. Meanwhile Wales saw the smallest rise in the total amount of rent paid by tenants over the last decade, up £70m. Although the rate of rental growth has slowed over the last 12 months, in January the average cost of a new let rose 0.6% year-on-year compared with 2.4% in January 2017. London led the slowdown over the last year, but rents have gradually started to rise again. The average cost of a new let in the capital rose 0.6% year-on-year in January. Meanwhile, the South East and South West both recorded rents falling -0.5% year-on-year. Aneisha Beveridge, head of research at Hamptons International, commented: “The total amount of rent paid by tenants in Great Britain fell for the first time in over a decade last year. Despite average rents rising 0.4% in 2018, fewer people renting homes meant the total rent bill shrank by £1.9bn since 2017. 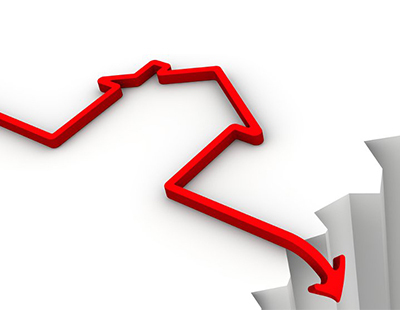 “Over the last 12 months rental growth in Great Britain has slowed. Rental growth has fallen from 2.4% in January 2017 to 0.6% last month.